Officials and representatives of the Melanesian Spearhead Group (MSG) are meeting in Port Moresby, Papua New Guinea from 10th to 14th February to attend the MSG leader’s summit on the 14th July to determine whether the current observer status of United Liberation Movement for West Papua (ULMWP) will be elevated to full membership. 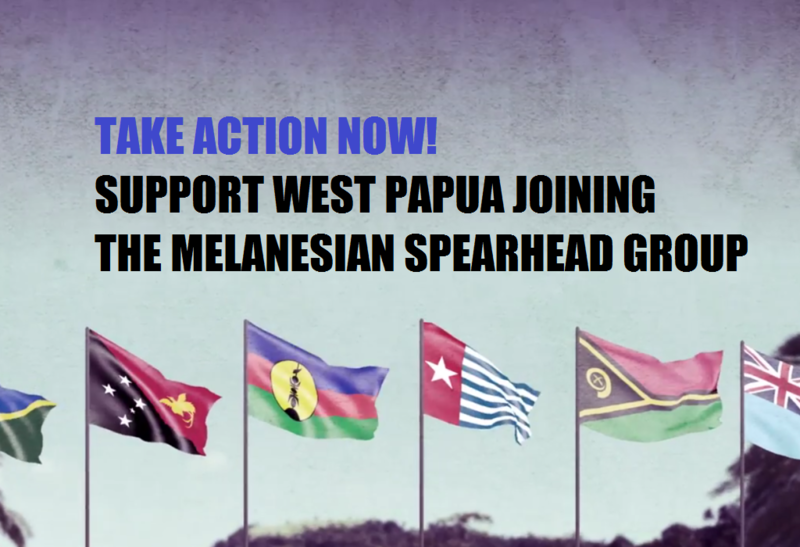 Full membership status for the ULMWP within the MSG will be the most significant accomplishment steps so far for official recognition of West Papuan’s as a Melanesian people; a designation that officially challenges Indonesia’s right to occupy the region on a new diplomatic level. Please go to our actions to see what you can do to show your support. The Melanesian Spearhead Group is a sub-regional forum that acts as a representative of all Melanesian nations and their interests and includes Fiji, Papua New Guinea, Solomon Islands and Vanuatu, and the Kanak and Socialist National Liberation Front of New Caledonia. The core principles of the MSG says that all Melanesians, have an “inalienable right to self-determination”. This support, along with the benefits of the trade links between these nations will be the beginning of West Papua’s future and bringing home to the Melanesian family. 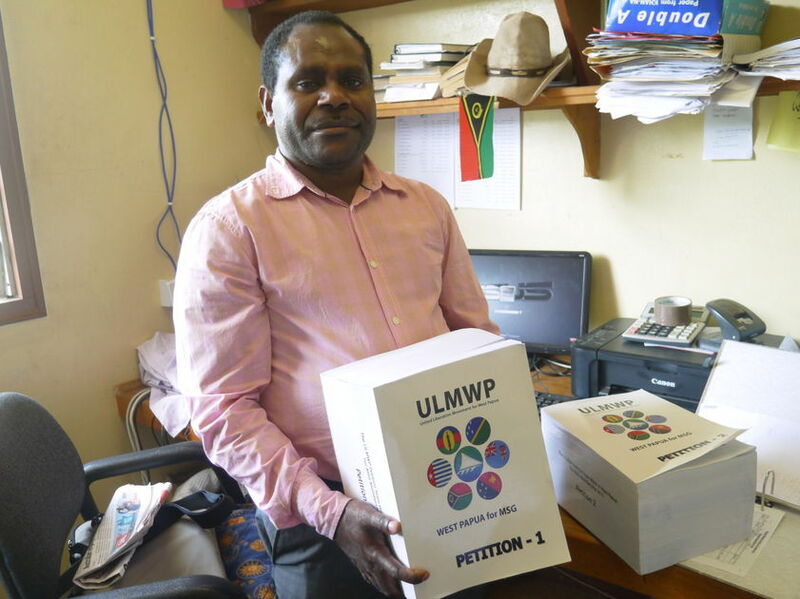 Prior to the ULMWP being given observer status within the MSG, a petition of over 150,000 signatures from inside West Papua was presented to the Vanuatu government to ask for their support at the MSG as well as expressing full support for the ULMWP to represent the interests and aspirations of the West Papuan people within the MSG. Observer status of the ULMWP is acknowledgement that the desires of the West Papuan people are being heard throughout Melanesia. The ULMWP being designated as the representative body of the people of West Papua also counters Indonesia’s argument that the West Papuan independence groups are divided and undemocratic. The United Liberation Movement for West Papua (ULMWP) is a collaborative group comprised of united resistance organizations located both inside and outside of West Papua. They collectively represent the political voice and will of the West Papuan people. The group was officially formed on December 7th 2014 in Vanuatu. The ULMWP unites the three main resistance organizations that together form a majority representation of leadership advocating for West Papua’s right to self-determination, economic, environmental and social justice. The organizations formally under the ULMWP umbrella are the Federal Republic of West Papua (NRFPB); the National Coalition for Liberation (WPNCL) and the National Parliament of West Papua (NPWP)) who have long struggled for independence as separate entities. 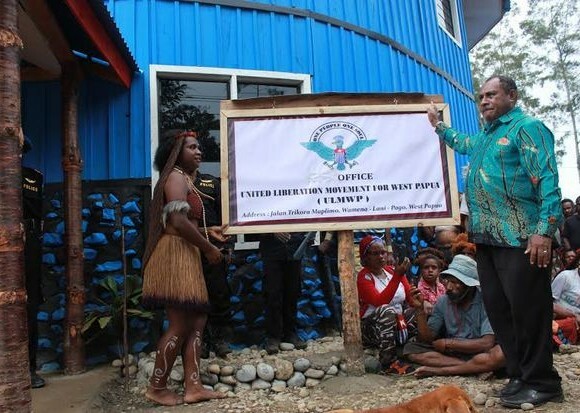 The ULMWP office was officially opened in Wamena on 15th February 2016 and was attended by over 5000 West Papuan people. Since the formation of the ULMWP in 2014, the issue of West Papua has reached new diplomatic levels as it is now finally being addressed by government states, and not just civil society. In 2014, both Vanuatu and Tonga made a statement at the human rights council in Geneva, raising the issue of human rights. In 2015, at the MSG in Honiara, the Solomon Islands established a special envoy on the issue of West Papua and joined Vanuatu and Tonga in addressing the issue of human rights at the UN convention in Geneva. Also in 2016 the Prime Minster of Tuvalu is also publicly advocating for self-determination for West Papua and PM Nagamootoo of Guyana has also reaffirmed his commitment to his official recognition of West Papua’s right to independence from Indonesia. It is this recognition of the ULMWP from Pacific countries specifically, through the MSG and the PIF, that has garnered a new phase for the struggle of West Papua’s right to self-determination on a globally diplomatic stage at last. 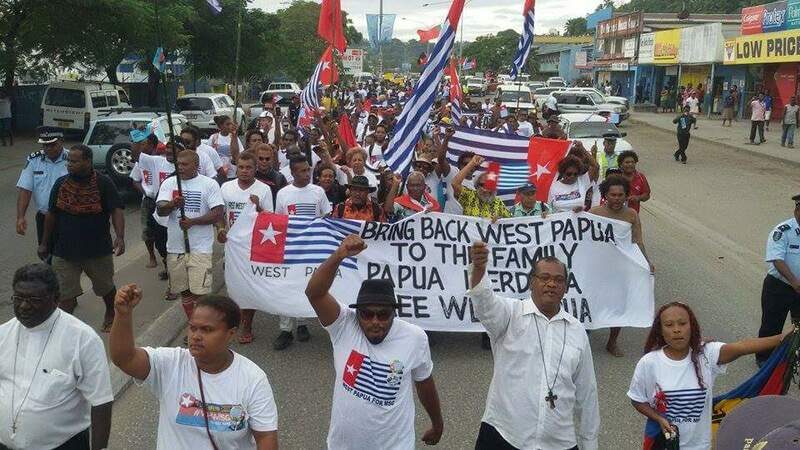 As supporters of the Free West Papua campaign we must continue to support the ULMWP with their diplomatic push for government support from around the world. 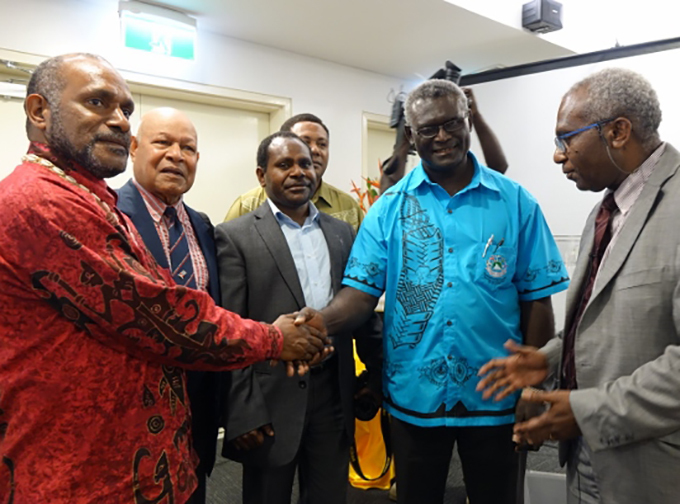 The Solomon Islands, FLNKS of Kanaky (New Caledonia) and the Vanuatu governments recognise the political identity of the United Liberation Movement of West Papua (ULMWP) and officially support their application for full membership at the MSG Leader’s Summit. All of these governments have committed to taking active charge in securing the ULMWP’s full membership and both Vanuatu and FLNKS have stated that Indonesia should be taken out of the Melanesian Spearhead Group as it is not part of Melanesia or genuinely interested in helping the MSG. 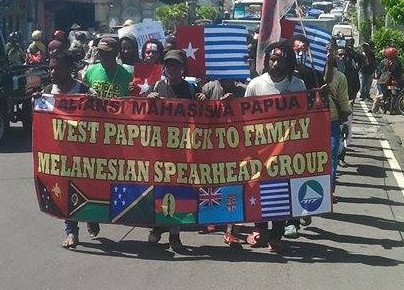 All throughout PNG and Fiji there is a groundswell of thousands of public supporters demanding their government leaders to stand in solidarity with fellow Melanesians. 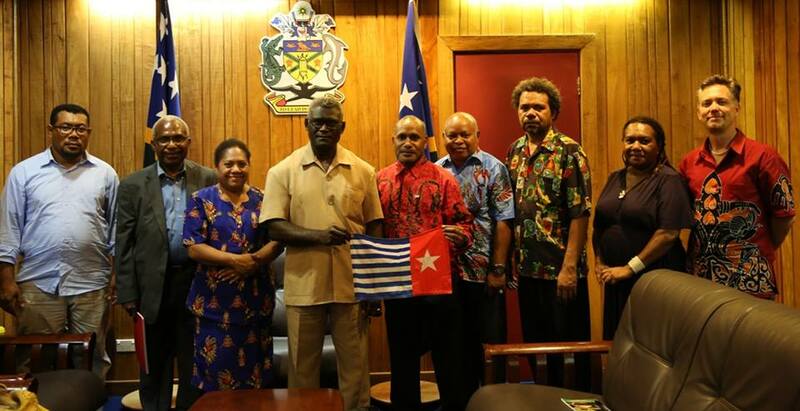 “Granting of full membership status to the United Liberation Movement of West Papua in the Melanesian Spearhead Group is the most responsible action any Melanesian Leader would do. Indonesia has sought membership of the regional bloc to only protect its own interest and has shown great disrespect for the concerns of Melanesian’s who feel that a genocide is currently underway in West Papua”. In New Caledonia the Spokesperson for the Kanak Socialist National Liberation Front (FLNKS), Victor Tutugoro reiterated the overwhelming support for West Papua’s MSG membership from the people of Kanaky and stated that he will fight at the MSG for West Papua membership as a full member on the basis of solidarity among Melanesians. Although Indonesia has no ethnic, cultural, or geographic ties with any Melanesian countries within the MSG membership they were still granted Associate Member Status in 2015 and are also applying for Full Membership this year. Prime Minister Manasseh Sogavare of the Solomon Islands says Indonesia had sought membership of the regional bloc to only protect its own interest. The Constitution of the MSG states to defend the right to self-determination of all Melanesian peoples which have not yet received full independence. 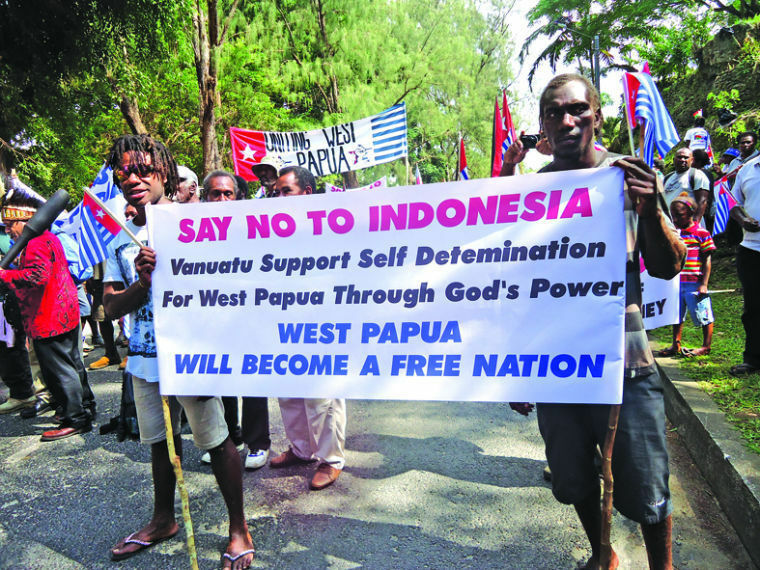 MSG leaders have a moral obligation to defend the right to self-determination (including independence) of West Papuans. We believe the MSG stands as a beacon of hope for all who struggle for self-determination and independence. We believe we will become full members of the MSG and come home to our Melanesian family. We need to come together again and show solidarity to the ULMWP now and support their call for full membership to the MSG. We receive the results this month! Join brothers and sisters in the Pacific and around the world raising their voice in solidarity of the ULMWP joining the MSG this week.